Moving beyond traditional studies of sources and influence, Shakespeare's Marlowe analyzes the uncommonly powerful aesthetic bond between Christopher Marlowe and William Shakespeare. Not only does this study take into account recent ideas about intertextuality, but it also shows how the process of tracking Marlowe's influence itself prompts questions and reflections that illuminate the dramatists' connections. Further, after questioning the commonly held view of Marlowe and Shakespeare as rivals, the individual chapters suggest new possible interrelationships in the formation of Shakespeare's works. Such examination of Shakespeare's Marlovian inheritance enhances our understanding of the dramaturgical strategies of each writer and illuminates the importance of such strategies as shaping forces on their works. Robert Logan here makes plain how Shakespeare incorporated into his own work the dramaturgical and literary devices that resulted in Marlowe's artistic and commercial success. Logan shows how Shakespeare's examination of the mechanics of his fellow dramatist's artistry led him to absorb and develop three especially powerful influences: Marlowe's remarkable verbal dexterity, his imaginative flexibility in reconfiguring standard notions of dramatic genres, and his astute use of ambivalence and ambiguity. 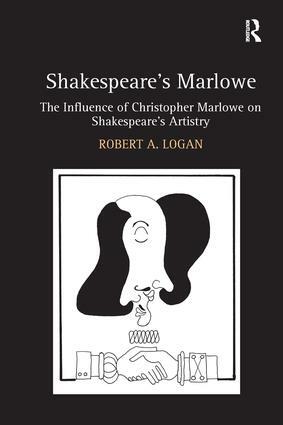 This study therefore argues that Marlowe and Shakespeare regarded one another not chiefly as writers with great themes, but as practicing dramatists and poets-which is where, Logan contends, the influence begins and ends. Robert Logan teaches at the University of Hartford, USA, where for ten years he also acted as Chairman of thae English department. In 1998, he was appointed Director of the University's Humanities Center and from 2000-2004 held the office of President of The Marlowe Society of America. He co-edited, with Sara Munson Deats, Marlowe's Empery: Expanding His Critical Contexts.